We’re changing the rules around here this week. 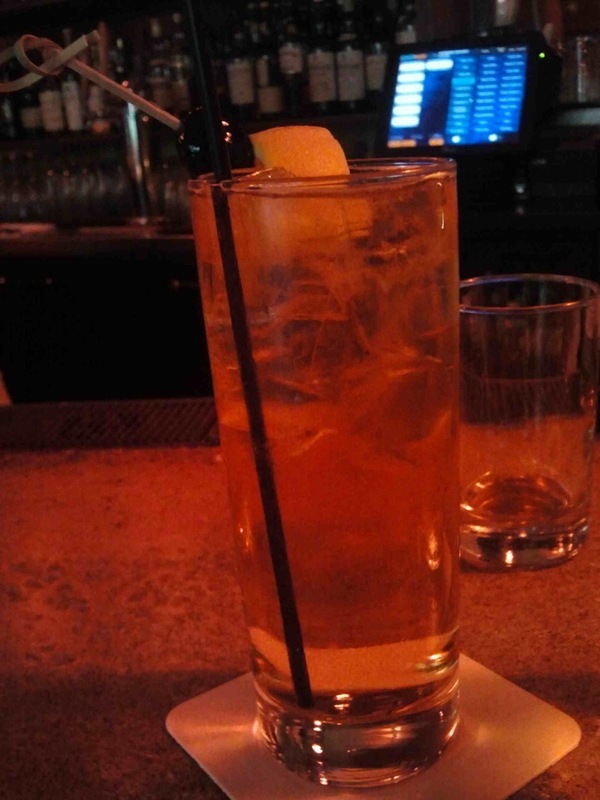 The spotlight falls on a brand new drink, one I have yet to make myself but had a hand in inventing. Ask friend and foe alike for a précis on my character and at some point, friend/foe’s voice will drop to the whispered tone reserved for the names of afflictions. “You know he’s ... a Mets fan,” friend/foe will say with commingled pity and wonder, both emotions apt. Ask friend and foe alike, etc., etc., and friend/foe will say, “Guy likes drinking.” So little wonder that more than one person suggested in the wake of Harvey’s dazzling first half that I should concoct a cocktail in his honor. It’s nice when a man’s hobbies overlap. I brought in a consultant: Ben Perri, estimable bartender at the Zig Zag Café, fellow New York ex-pat and baseball aficionado. We discussed parameters. No Fireball Cinnamon Whiskey, in part because it’s too easy but mostly because I don’t care for the stuff. 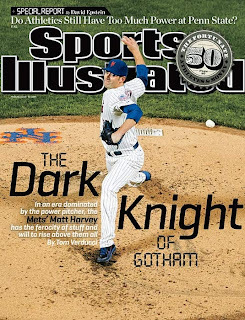 Sports Illustrated dubbed Harvey “The Dark Knight of Gotham” and he pitched for the University of North Carolina, so clearly the base spirit has to be brown. Earlier this week I caught up with Ben, who commented on the impressive debut outing of the Mets’ other touted pitching prospect Zack Wheeler. “We need a drink that pays tribute to them both,” Ben said. That’s when it hit me. Ladies and gentlemen, Mets fans of all ages, Ben and I give you ... the Harvey Wheelbanger. Sometimes it really is that easy. The Harvey Wallbanger – vodka, orange juice, and the sweet, vanilla-heavy liqueur Galliano – is one of those cocktails that only could have achieved popularity in the 1970s. Esteem’d tippler Kingsley Amis branded the drink “famous or infamous,” dismissing it as “a Screwdriver with trimmings ... named after some reeling idiot in California.” That last bit comes from a treasured bit of lore claiming that the cocktail’s original advocate was a surfer (go on, guess his name!) who downed so many of them he’d bang off the walls trying to leave the bar. While Gary Regan cites an article crediting the cocktail’s invention to Newport Beach sportswriter Bill Doner, most experts lay blame or credit at the feet of barman Donato “Duke” Antone, who also claimed to have bequeathed unto the world the Rusty Nail. The drink already has a baseball provenance; the 1982 American League champion Milwaukee Brewers were known as “Harvey’s Wallbangers” thanks to the team’s offensive prowess under the stewardship of manager Harvey Kuenn. The Harvey/Wheeler connection made it a no-brainer. So what’s in a Harvey Wheelbanger? Galliano, obviously, a tip of the baseball cap to the cocktail’s forebear. Triple sec to complement it. Rye whiskey, as discussed. Not just any rye but Rittenhouse 100 proof, bringing the high heat. Ben then added Root liqueur as “the curveball, the off-speed stuff.” For the long, hot months of baseball season you want a tall drink, a cooler, so serve it over ice with club soda (“the gas”). I drank the first-ever Harvey Wheelbanger at the Zig Zag on Monday night, and pronounced it good. It’s refreshing with a snap courtesy of the sneaky sarsaparilla finish. Before I left another customer had ordered one, because change is in the wind. 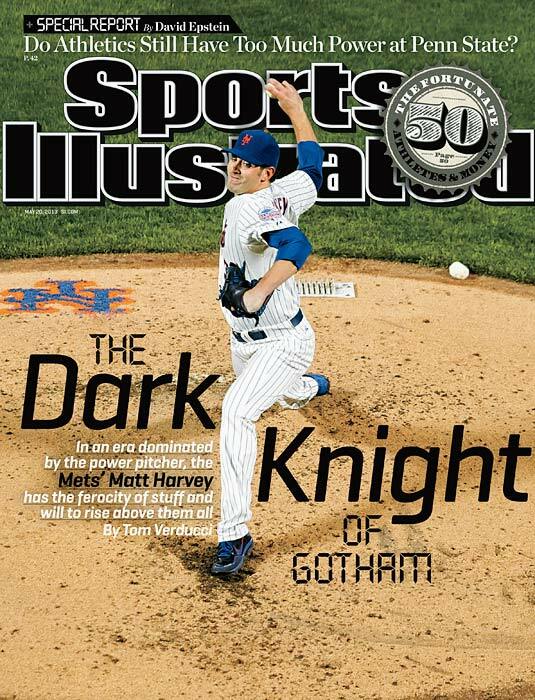 The balance of power in the National League East is shifting to Queens, thanks to the presence of Harvey and Wheeler. Together, they are the joint Moses who will lead us to the Promised Land, or at least within hailing distance of a 2015 wild card bid. I’ve been a Mets fan too long to get completely carried away. Combine the first four ingredients with ice. Stir. Strain into a Collins glass filled with ice. Top with club soda. Garnish with an orange slice and a cherry. *Known as the Starting Rotation in Yankees/Braves/Nationals/Phillies/Marlins bars. Like there are any Marlins bars.